The article analyzes the changes in the financial condition of the banking system during the last years, during the period of intensive reduction of the banking services market. 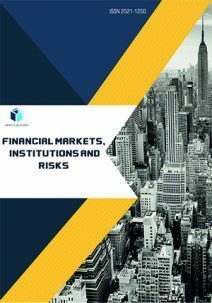 The author has established a stable distribution of the banking services market for homogeneous groups throughout the research period, the features of business models and the risk profiles of banks of each group have been identified. An assessment of the financial stability of each bank is proposed to be carried out based on an analysis of the bank’s trajectory on the Kohonen self-organizing map constructed during the research period. Structural-functional analysis of the banking system is intended for the analysis of gradual structural changes in comparison with the previous reporting periods, the identification of specific characteristics of each group of banks, the relationship between groups and the place of each bank. This analysis allowed to identify the main problematic aspects of banks’ activities, which affected the deterioration of financial stability of the system and individual banks. Keywords: structural-functional analysis, finanсial system indicators services, stability of banking system, self-organizing map. Cite as: Zarutska El. (2018). Structural-functional analysis of the Ukraine banking system. Financial Markets, Institutions and Risks, 2(1), 79-96.